So after finishing 4th with a simple 442 in the championship first season and winning the playoffs, I somehow easily survived the premier league the second season comfortably by finishing 9th, with almost the exact same team as the season before because I took a risk by spending almost all my money on young players who only really provided rotation options. The tacitc was a 4411 that played some very nice passing football that didn't just park the bus like most teams of my standard would do. This is what it looks like: Gk Rwb- def, cb, cb, lwb-attack Wm-attack, cm-sup, dlp-def, wm-attack Am-attack Treq Ti: pass into space, low crosses, shorter passing, work ball into box Pi: gk-pass it shorter Dlp-more direct passes Standard flexible - I've left it like this because I'm not sure I fully understand when it's best to change from this setting I've sometimes experimented by choosing only one or none of the latter 2 ti's. The idea is that the treq recieves the ball in space that he has moved into and then can either shoot or lay it off to one of the wide mids or the attacking mid making late runs into the box. The dlp is for cover and for when we can't break a team down so he can restart an attack without being under pressure. I am having trouble in my third season. Because our team is very young, most players have a much better ability than they did before, we have also managed to sign some stars such as butland, mahrez and jeff Hendrick to massively improve the starting XI, but now we have no wins and have drawn to wolves and Newcastle, and lost to Watford, Chelsea and Everton. It seems like the defence is the problem and we are being hit on the counter very often, I thought I could fix this by changing my wing backs to full backs and changing my left wide mid to support but it didn't seem to make any difference at all. I can't seem to figure out what the problem is, maybe you guys might spot something obvious. Hello everyone! 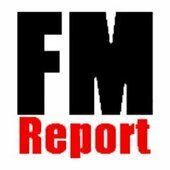 I'm Tyler, and I run a blog called FM Report. I am currently doing a series on Leeds United titled "Making Leeds Great Again", where I am trying to return Leeds United to the former glory they had before the turn of the century. I post a new update "episode" every Sunday, Tuesday, and Friday morning. I also have a twitter that I use to promote the blog, as well as just hold general FM discussion. Here are convenient links to each episode for your perusal: Season 1 0. Introduction 1. The Beginning 2. Roadblocks 3. FA Cup Dreams 4. Good Form? 5. FA Cup Realities 6. At Season's End Season 2 7. The Prem 8. Bad Form 9. FA Cup Again 10. Cups and Rivals 11. Missed Chances 12. Relegation? Season 3 13. The Campaign 14. It's Working! 15. Defense Issues 16. Home and Away 17. The Duel 18. The Double?